This past week saw Black Friday, Small Business Saturday and Cyber Monday, all ways of describing the frenzied start to the Christmas shopping season. While I'm not an economist, I do have a vested interest in helping Nebraska's small communities sustain a thriving main street. Of course, for any small town to survive, first the families have to survive, so I'll start with the caution to create a substantial savings account buffer against hard times and not overspend at Christmas or any other time of the year. 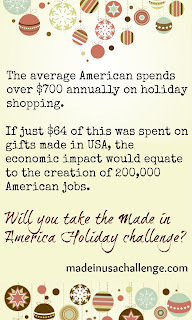 With that being said... if you must spend, spend in your local main street stores. 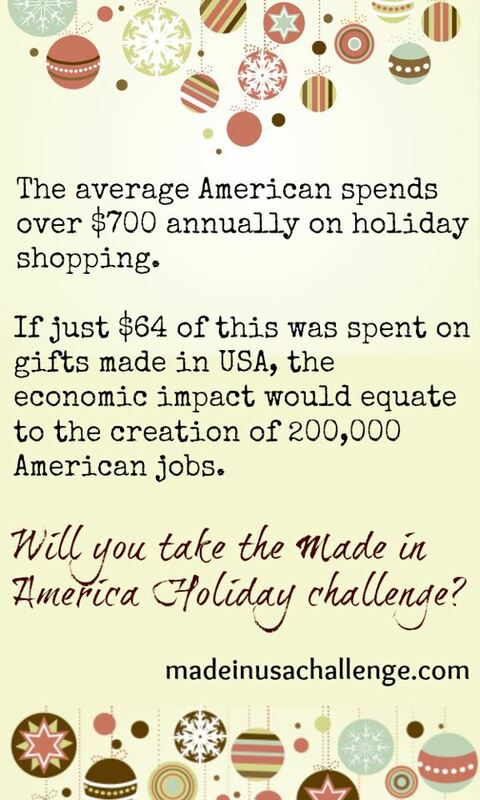 And I'm not just talking about Small Business Saturday. I mean all year around! I'll admit that my own home town of Sutherland has a dying downtown district, as I've posted about before. But that doesn't mean that we don't have locally owned small businesses where we can get many of our day-to-day needs. Maline's Super Foods is a perfect example. I've recently seen posts from my friends on Facebook about driving to Walmart in North Platte to pick up the five items they forgot on their Thanksgiving shopping list. 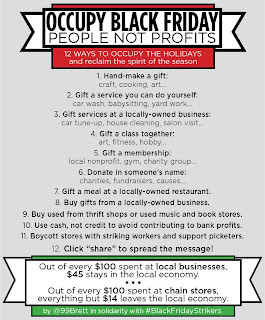 Not only does this not make economic sense, this attitude supports a corporation with a questionable history of its treatment of employees and the communities in which it locates its stores, at the expense of a business owned by neighbors, employing neighbors that supports local causes and organizations. Without the support from Maline's, Sutherland - the school, 4th of July celebration, youth sports and the volunteer fire department to name a few - would look far different. If you support them with your large grocery lists, they'll be there when you run out of sugar or milk or eggs to finish that recipe. There are other stores as well. Kildare Lumber Company is a small west central Nebraska business headquartered in Paxton with a store in Sutherland. Having recently done some extensive renovation in our home, I can attest that they have most of what you will need for projects large and small. Plus, if you support them with your large projects, they'll be there when you just need that single fastener or pipe for an emergency project. Becker Auto Parts and the local Co-Op are a couple of others. It's great to have these stores in town. Their owners and employees are vital to our community. They are youth sports coaches, volunteer firemen, local politicians. 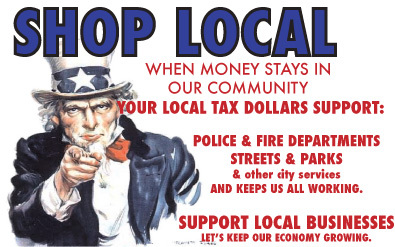 The property taxes on their homes and businesses support maintaining our home town. Unless you need specialty tires or parts, you can find what you need there. And, if you support them when you need to buy a new set of tires, they'll be there for you when your car is broken down and can't get to North Platte for the emergency parts you need. There are so many others: Ozzies and Ozzies I-80; Sportsmens Cove; the Longhorn Bar; the Medical Clinic; Sno-White; Sutherland Industries; Thomas Insurance Agency; First Street Fitness; Courts Candles. Thankfully, the Village of Sutherland recently upgraded their website that now has complete business listings. This time of year, there are craft shows nearly every weekend, where you'll find wonderful hand-made items, plus manufactured goods sold by local entrepreneurs. 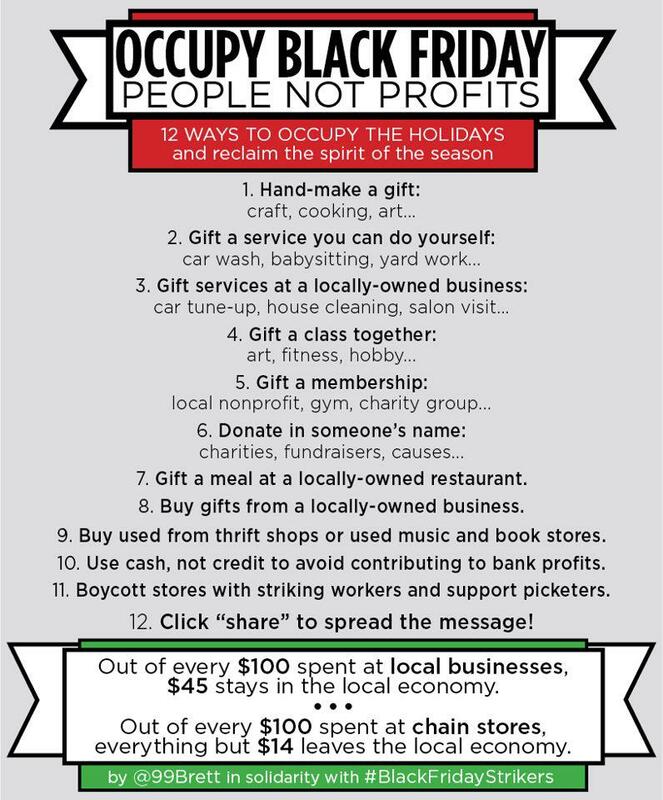 It's a good way to fill out that Christmas list or buy things you need for yourself, supporting local friends, neighbors and small businesses while purchasing the things you need. 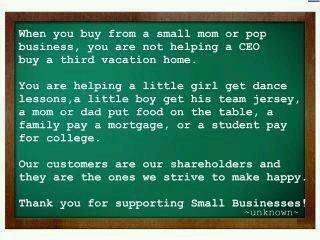 So what are some of the statistics about small business? There are 27+ million small businesses in the U.S. Between 60% and 80% of all new jobs created in America are as a result of small businesses. Small businesses, with less than 100 employees represent 99% of all employers In Nebraska, the payroll of small businesses is $8.3 billion or 30.4% of the total payroll in the state. You'll find most small towns are the same as Sutherland. Some local friend or neighbor has a business that can meet your needs. Call on them before you go driving out of town to find the same thing. In the long run you'll be saving money and saving your community. In the big picture, you will be contributing to the growth and stability of the entire U.S. economy. Not a bad return on investment.